Having a garage door opener that does not work has got to be one of the most frustrating things. Not only will your garage door not open because your garage door opener needs to be repaired, you can not even open it with your hands. 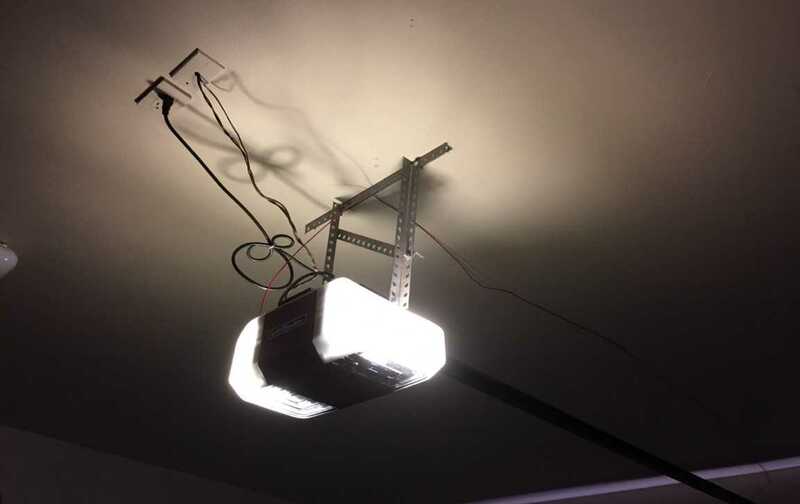 When a garage door opener is not opening or closing you have to completely take it off of the chain to be able to manually open and close it. We know when you need your garage door opener repaired you need it repaired fast! So if you are looking for a garage door opener repair service near me and you are in the cedar city area, look no further than Cedar City Garage Door Repair Service and installation. We are the best garage door opener repair company in southern Utah and customer satisfaction along with professional and trained staff. When we come out to service your garage door opener we are able to look at all the different functions of your garage door and find a solution to your problem. When we look at repairing your garage door opener we look at all the different variables and give you the facts. There are times you may call us to repair your garage door opener and after one of our garage door professionals looks at the problem they may determine that it might be cheaper to install a new garage door opener instead of tracking down an old part. It is always our best interest to have your best interest in mind. When we come out we are able to give you an estimate for a repair and also an estimate for a whole new garage door opener. We always wan to make sure that you have all the facts and information you need to make an informed decision on what is best for your home or business, what is best for your budget and what is best long term for you. Our Team never pushes you into a decision you do not want to do and there is never any pressure. Our policy is to always let you know the facts so you never feel like you did not know what you were deciding. We always want you to feel like you chose the right garage door company in Cedar City to come out to your home or place of business. As a Garage Door Service company, service is in our name. We know how important costumer service is and we work hard to ensure that you have a great experience when you use our local garage door service company. It is so important to us that you know you are being taken care of throughout the entire job. It is our responsibility to provide costumer service to you so that we stay in business, you are the reason we have our company and we love to show our gratitude to you for supporting our local garage door company by providing you with the best service in the garage door industry. You know that you are getting the total package when you hire us to come out to look at your garage door opener. Because we are a total and complete garage door company that is practiced and qualified to install and service residential and commercial jobs. You will always get the top of the line quality and there is no job we will have to turn down. Because we are so diverse in our services you can call us knowing we can handle any garage door job you send our way. From special requests to designing your own garage door you can know that we are here to give you the look you are wanting and we will always give you options to stay within your budget.